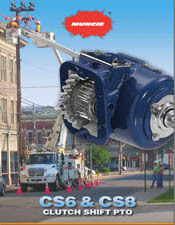 Muncie Power Products has an 81-year history of manufacturing power take-offs and fluid power components for the work truck industry. The company, which operates as part of the global Interpump Group, brings ease, efficiency and cost savings to the process of supplying, building, operating and maintaining work trucks. Muncie powers machinery like aerial buckets and dump, refuse and tow trucks that do the heavy lifting in a range of industries, including agriculture, construction, fire & rescue, snow & ice, bulk transport, towing & recovery and dump body. 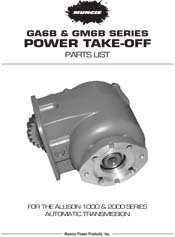 We supply all Muncie power take-offs for Dodge Ram, Allison, Caterpillar, Ford and other work trucks with transmissions that require constant drive (non-shiftable), clutch shift, automatic, front-mount gearbox functions. Series numbers include: TG, CS, ALPHA, CD05, CD10, FS, FR, RG, HS24 and 82. We offer free ground shipping anywhere in the United States on PTO and pumps so that you can prevent fines due to delays on construction projects. 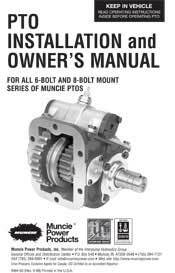 Pre-stock Muncie Power Products PTO components and stay powered throughout the job. Emergency breakdown? We ship next day air.